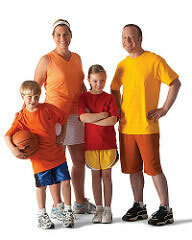 According to the Institute of Medicine, nearly one in three children in the United States are overweight or obese. According to the Minnesota Department of Health, the state’s obesity rate was 27.6 percent in 2014 compared to just 15.3 percent in 1995. Studies show that people who are obese face an increased risk for chronic illnesses such as heart disease or diabetes, and children who are obese have poorer school attendance and academic outcomes than their peers. The financial burden of obesity in Minnesota was estimated to be $2.8 billion and growing in 2006. The YMCA of the Greater Twin Cities, a leading nonprofit dedicated to strengthening communities through youth development, healthy living and social responsibility, strives to improve the health and well-being of all in the community by offering opportunities for youth and families to develop healthy habits. Studies show that obesity rates are increasing and chronic disease is also on the rise. Obesity is one of the most serious public health concerns facing Minnesota. To help encourage healthy habits and fight chronic disease, the Y offers programs to engage the youngest members of the community and their families in health and well-being. CATCH (Coordinated Approach To Child Health), a nationwide curriculum that the Y has implemented through a grant from UnitedHealth Foundation into its before and after school programs, both at branches and in schools, as well as into its early childhood learning centers. CATCH features games and physical activities that keep kids active as well as nutrition education to teach kids to choose foods that will give them energy and help them grow. Personal training, which gives young people the option to engage in personalized workouts tailored to their fitness goals, whether that includes making the varsity squad on their school sports team, losing weight, gaining muscle or learning new skills. See how the Y engages preschoolers in activities that promote making good nutrition choices and staying active – Healthy CATCH Kids. Discover how participating in an after school program with the Y helped Quinn learn about eating healthy and getting active – Quinn’s Story. Learn how working with Ronnie, a personal trainer at the Y, has helped teenage siblings Kelly and Jack build strength and make good health and fitness choices – Kelly and Jack’s Story. Find out how the Jones family has gotten active at the Y, from kids Sam and Henry in child care to parents Sarah and Brandon after work – Henry and Sam’s Story. When the Y engages young people in health, nutrition and well-being, it prepares them to make better choices throughout their lives and connects families to healthy living opportunities. These include group exercise classes for youth, adults, families and seniors; personal or group training to achieve specific fitness goals; and programs to combat chronic disease, like the Diabetes Prevention Program. The Y builds healthier communities by offering programs to help everyone meet their well-being goals. Because the Y is a leading nonprofit committed to helping all learn, grow and thrive, financial assistance is available based on need.